Providing you the best range of printed flexible packaging film, flexible packaging film and acp adhesive film with effective & timely delivery. Fostered with a team of highly experienced professionals, we have been able to offer premium quality Printed Flexible Packaging Film. 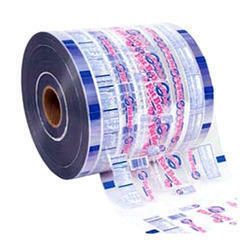 We are a prominent organization that is engaged in manufacturing quality-approved Flexible Packaging Film. All the offered products are manufactured under the close supervision of experienced professionals. Prior to dispatch, these pouches are thoroughly inspected on certain parameters of quality to rule out every possibility of defect. We are the manufacturer of ACP Adhesive Fim, It is used to adhesion the plastic panel and aluminium panel in ACP production, which is the film made by special glue (high molecule) and multilayer PE films, the function of two sides of adhesion film are different, one side (smooth) is for the plastic panel and another side (frost) is for aluminium material. 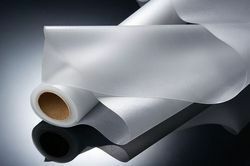 Adhesive film has strong adhesion with good durability, which can be used to adhesive all kinds of PE, PP, NYLON, Aluminium material and steel products. 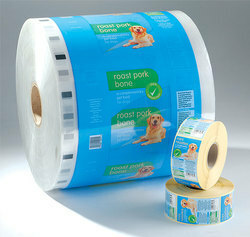 Looking for “Flexible Packaging Film”?